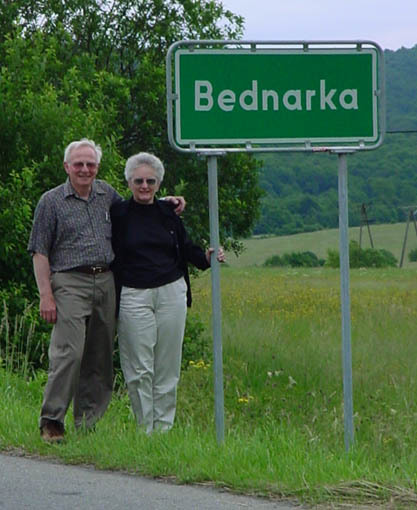 As explained earlier, my paternal grandparents came from the townof Bednarka in Galicia which is now part of southeast Poland. 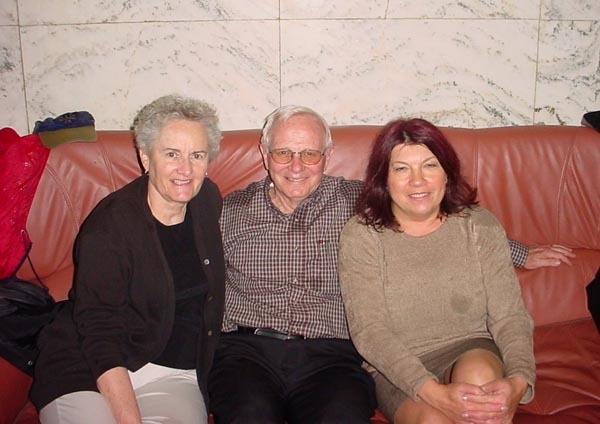 I was very interested in visiting the village so in June 2002, Donna and I flew to Warsaw, Poland. We obtained a rental car at the airport and drove into the city. When we arrived at our hotel, we were told that there were some gifts waiting in our room for us. It turned out they were CDs of songs recorded by Krystyna Pronko, a very popular singer in Poland. She was aware of our arrival through email correspondance with my cousin Eugene Pronko. 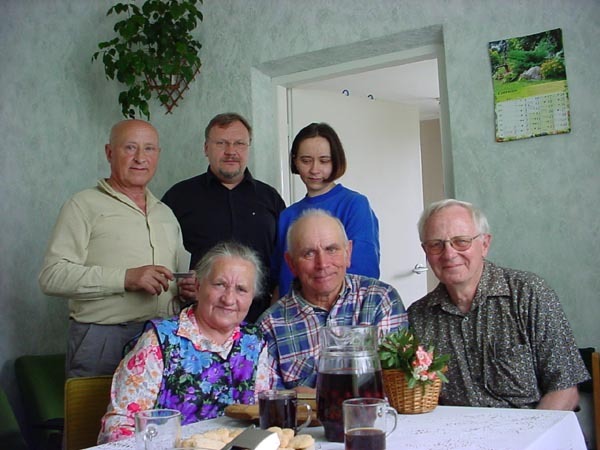 He had been corresponding with her as part of his effort to understand the Pronko family origins. A few hours later, we had a visit by her brother, Piotr Pronko. 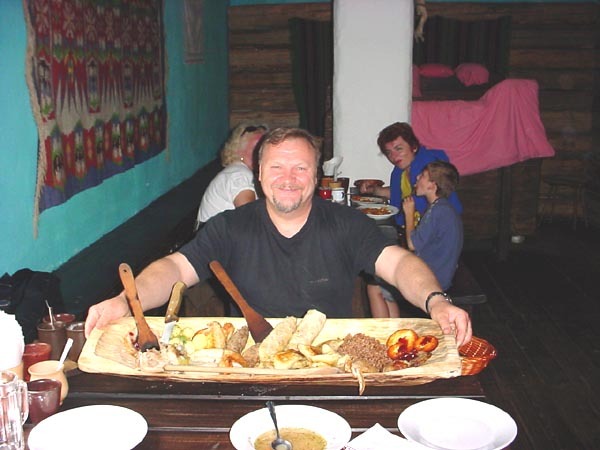 He is a musician and plays saxphone in his own band and is well known in Poland as well. He offered to go with us to Bednarka to see how all the Pronko families tied together. The following day, Krystyna arrived at our hotel and gave us a private tour of Warsaw. It rained lightly most of the time and we were a bit wet after the tour. 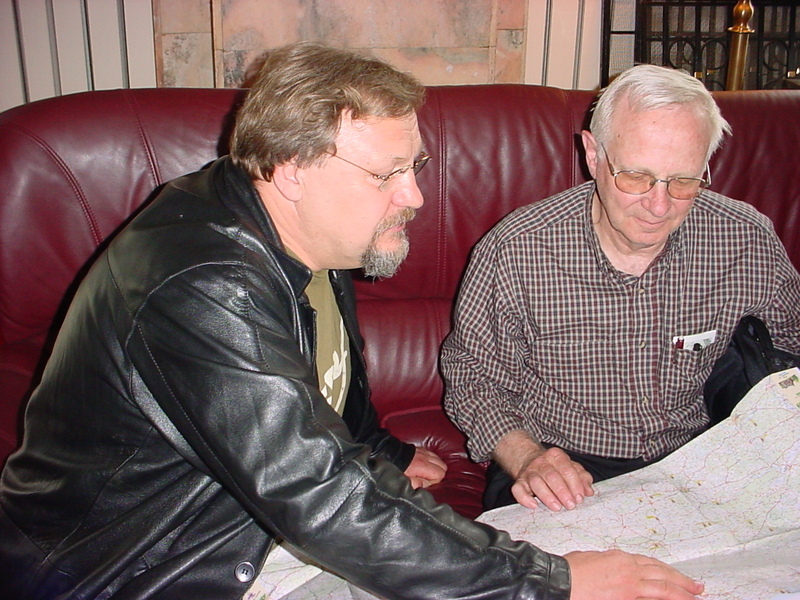 Piotr Pronko and John review the plans for visiting the town of Bednarka in the search for any remaining Pronko’s. Donna, John, and Krystyna at the hotel after the tour looking a bit rain soaked.